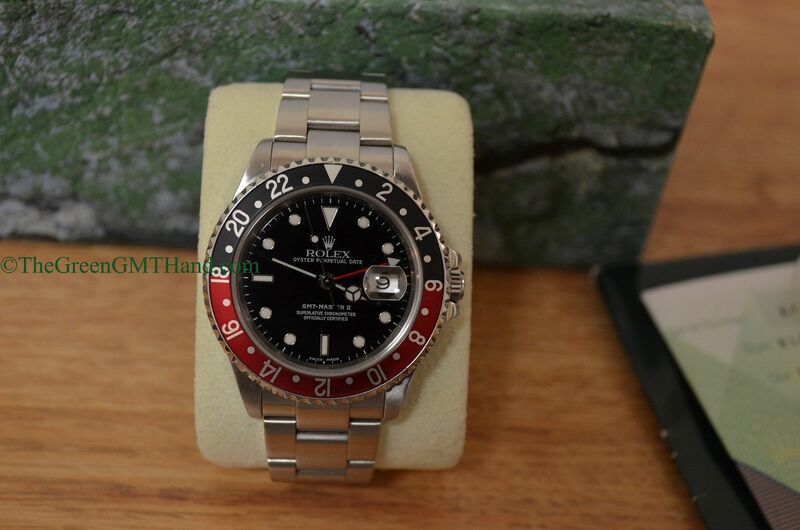 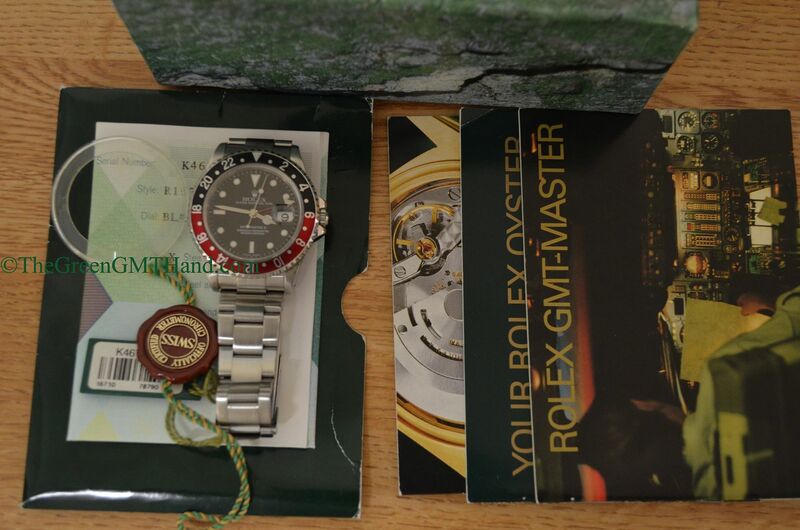 A beautiful Rolex 16710 GMT Master II K serial complete set. 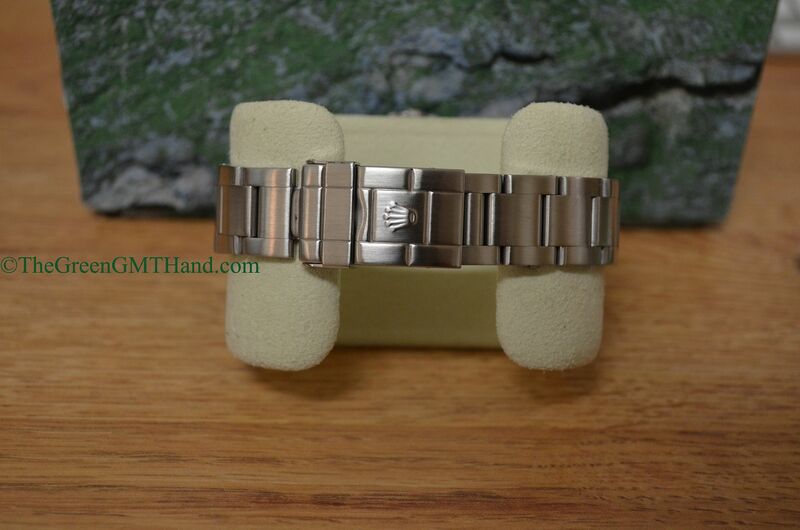 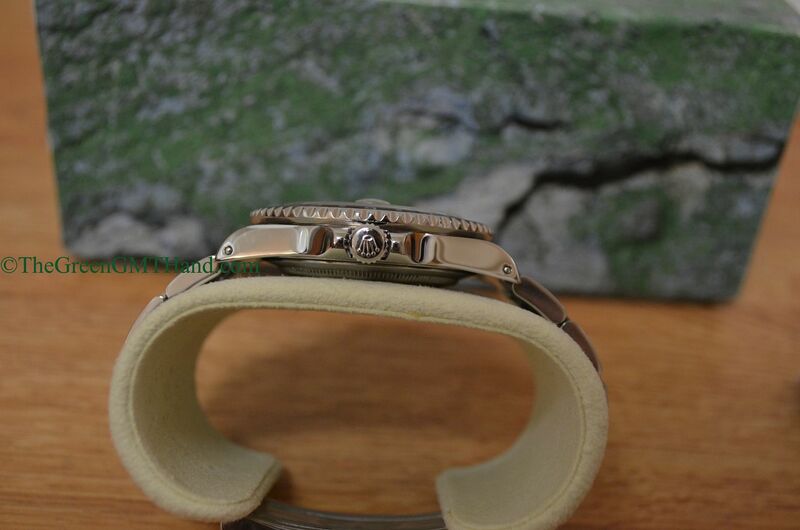 This K serial 16710 is another sample of the transitional period GMT Master II with the solid end link SEL bracelet and case lug holes. 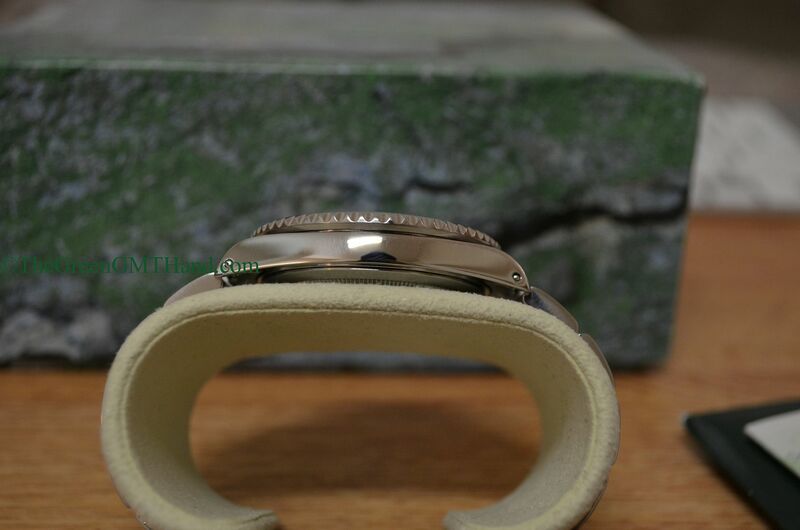 Also features a coke color bezel insert. 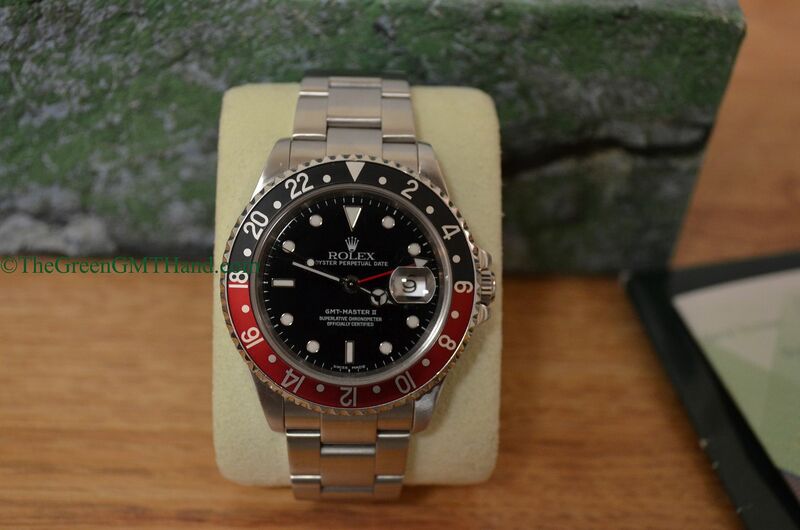 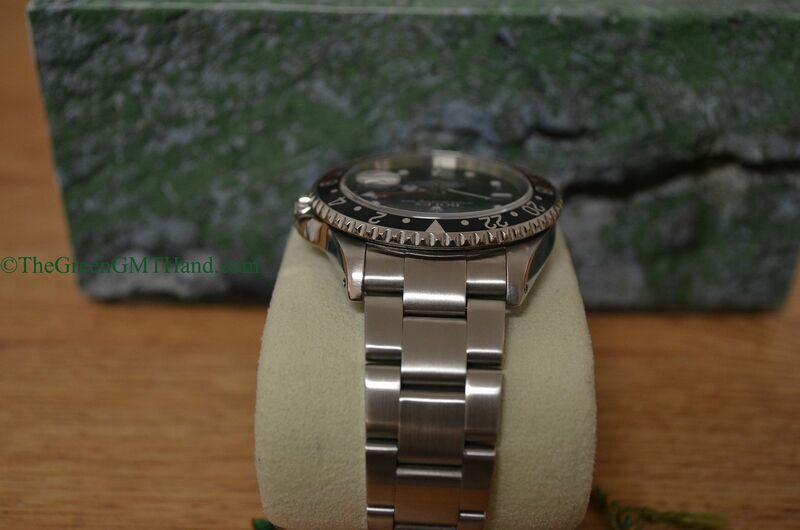 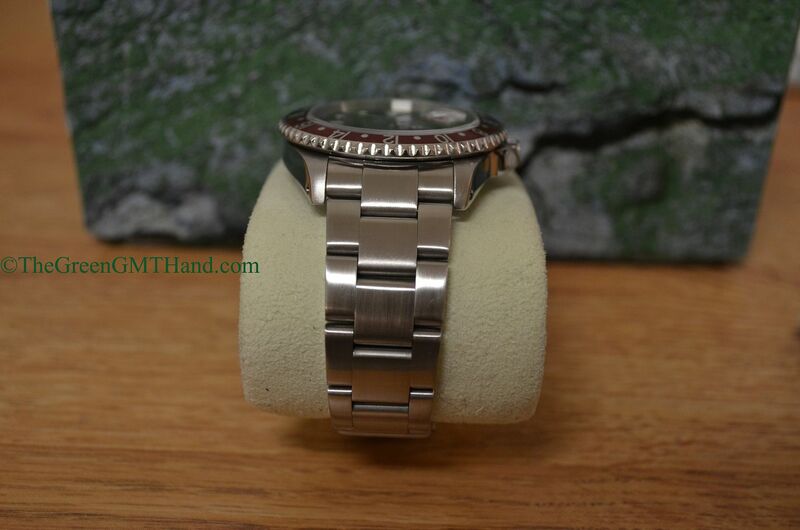 Comes equipped with the ever reliable Rolex 3185 GMT movement. 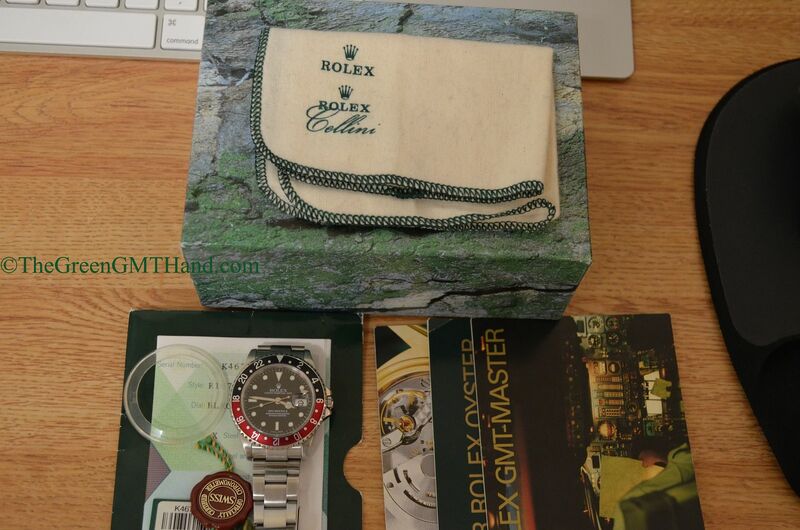 SOLD and delivered to our buyer with all original boxes, warranty certificate, tags, and bezel protector.